From traditional dim sum to boundary-hopping global cuisine, tradition meets innovation in Guangzhou’s dynamic food scene. Kate Springer targets the standout spots. Historically a trade port and manufacturing hub, Guangzhou is rarely a first stop for visitors to China. But for food obsessives, it should be. Located along the Pearl River in China’s southern Guangdong Province (two hours from Hong Kong by train), this dynamic megacity of 14 million people is the epicenter of Cantonese gastronomy, the regional style of Chinese food that Americans know best. Defined by its use of mild spices, sweet sauces and a mix of fresh and preserved ingredients like fermented bean paste and dried scallop, Cantonese cuisine features such staple dishes as soy sauce chicken, sweet-and-sour pork and garlic-fried seafood. “You live in Hangzhou because of its beautiful lakes, you wear clothes from Suzhou because it produces the finest silk and you eat in Guangzhou because we have the best food,” says Wai Zhou, founder of the Guangzhou-based Eating Adventures Food Tours. While traditional Cantonese cuisine rules in Guangzhou, the past few years have brought increasing diversity to its dining scene, with new tapas-style restaurants and contemporary wine bars. Here’s a cheat sheet on the city’s essential eats. At this bustling market, endless rows of bubbling tanks are filled with everything from eel to geoduck. Buy your seafood from a vendor, then take it to the upstairs restaurant, where, for a small fee, they’ll fry it up with garlic or steam it with ginger and shallots. Note: Prices are negotiable, so come prepared with a few Mandarin phrases to bargain with vendors. 15 Huangsha Ave., Liwan District (no phone or website). This historic spot has been operating in the same building in the Liwan District since 1892. There’s a traditional Chinese dining room, but the highlight is the unassuming bakery, which churns out irresistible sweet treats. Try the lotus seed pastries and the egg-yolk-filled moon cakes. 67 Shipu Rd., Liwan; 011-86-20-8181-3388. There’s always a queue outside this Cantonese favorite, and it’s easy to see why. The restaurant is best known for its black char siu (soy-glazed barbecued pork) and silky homemade tofu. For dessert, you can’t go wrong with the massive pineapple buns, crowned with a crispy layer of caramelized sugar. Chef Tan Guo Hui helms this elegant restaurant inside the new Conrad Guangzhou hotel. 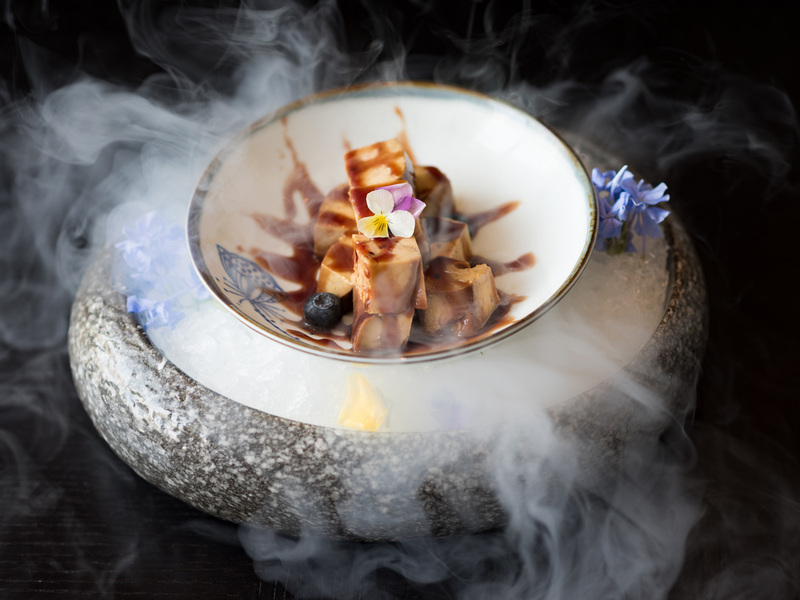 Alongside more traditional dishes, Tan offers modern inventions like handmade noodles with XO foam and nitrogen-frozen ginger-milk ice cream drops. Among the delicate dim sum options: a flaky goose-truffle cake served inside a wooden birdcage. Set in a beautiful garden courtyard, the regal Bei Yuan hasn’t changed much since it first opened its doors in 1928. Dim sum is the draw: Order the shrimp dumplings and the barbecued pork buns, paired with pu’er tea. Afterward, head across the street to explore Yuexiu Park’s manicured gardens and romantic Chinese pavilions. This Peruvian tapas spot stretches across a warehouse space on the sixth floor of the Zhujiang Party Pier, a riverfront entertainment complex. An Aperol spritz and ceviche on the deck at sundown is an excellent way to end the day—or kick-start an evening. After dinner, the restaurant transforms into the club Code Red, pumping house music into the wee hours. New Zealand designer Aaron McKenzie created this trendy alfresco wine bar, which attracts a mix of locals and expats. The seasonal Western menu skips from fish tacos to Portuguese chicken grilled with piri piri sauce. But the can’t-miss bite is actually a dessert: the Banoffee pie laced with dulce de leche.